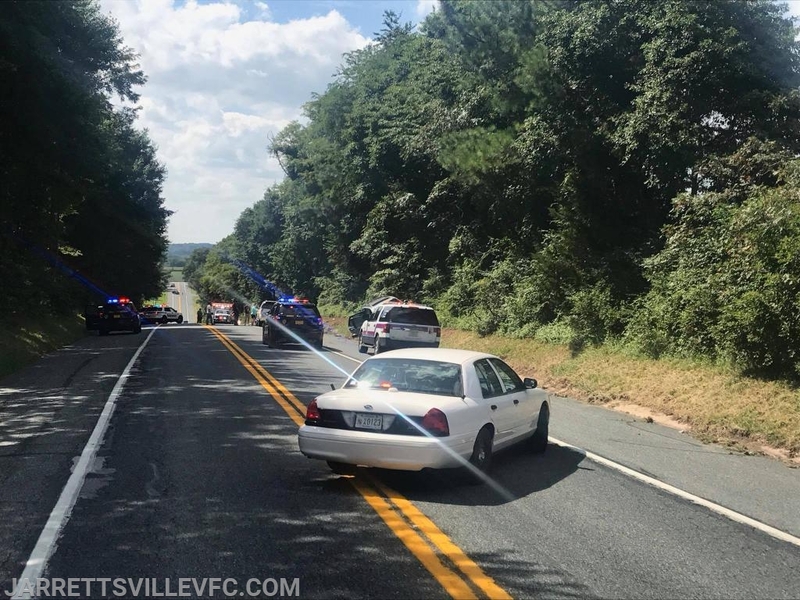 The Jarrettsville Volunteer Fire Company was alerted for a reported MVA with Rescue in the area of Federal Hill (Rt165) and Clermont Mill Roads. First arriving units reported a two vehicle accident at location with no rescue. Rescue 751's crew assisted Medic 791 with packaging a single patient who was transported by land to an area hospital. The road remained closed for a brief period of time for accident cleanup.